The King James Version of the Bible is the version we normally think of as being associated with the Reformation. 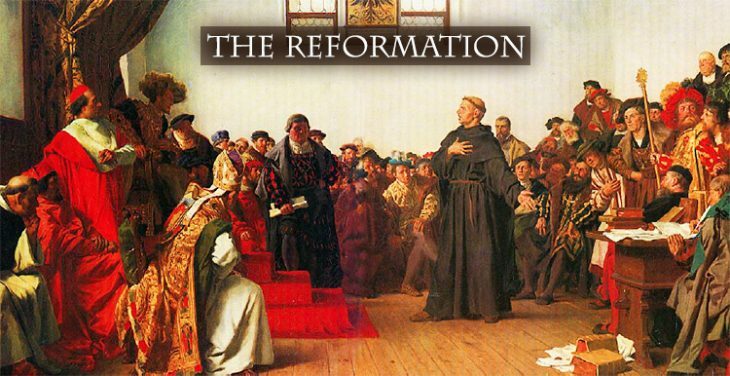 It was published over 400 years ago in 1611, and it certainly was a product of the Reformation. 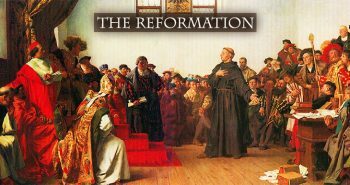 But it was produced almost 100 years after the Reformation began in 1517, and it had many antecedents, even before the Reformation began. 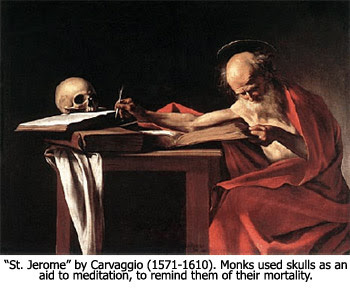 In the midst of all this struggle to get the Bible into the languages of the people, a profound event occurred that had to represent the perfect timing of God. 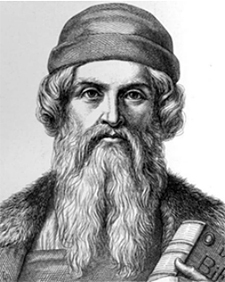 A German printer and publisher, Johannes Gutenberg (c.1398-1468), invented a printing press with movable type.8 Significantly, the first thing he printed was a copy of the Latin Vulgate Bible. In the second segment on this series teaching on the Bibles of the Reformation, we’ll next look at the Bibles that led up to the popular King James Version. 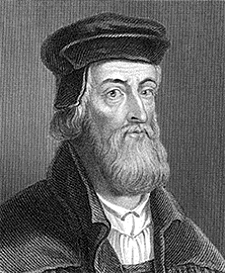 4) Wikipedia, “John Wycliffe,” http://en.wikipedia.org/wiki/John_Wycliffe. 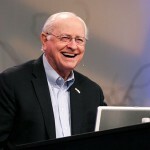 5) John L. Jeffcoat III, “English Bible History,” www.greatsite.com/timeline-english-bible-history, page 10. 6) Wikipedia, “John Wycliffe,” page 13. 7) Jeffcoat, “English Bible History,” pages 1-2. 8) Wikipedia, “Johannes Gutenberg,” http://en.wikipedia.org/wiki/Johannes_Gutenberg.